CYCLE is a modern, clean and professional WooCommerce html template, It is fully responsive, it looks stunning on all kind of screens and devices. 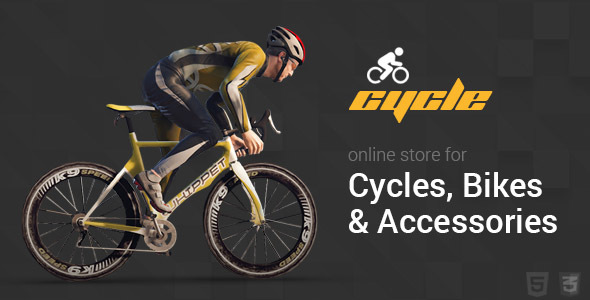 It super fits for bicycle shop, accessories or any other categories related to bicycles. It is also multipurpose template which can be used for any kind of online store. It is looking good with it’s clean and fresh design. All sub pages are also customized.